Located approximately halfway between Tanunda and Nuriootpa along Barossa Valley Way. 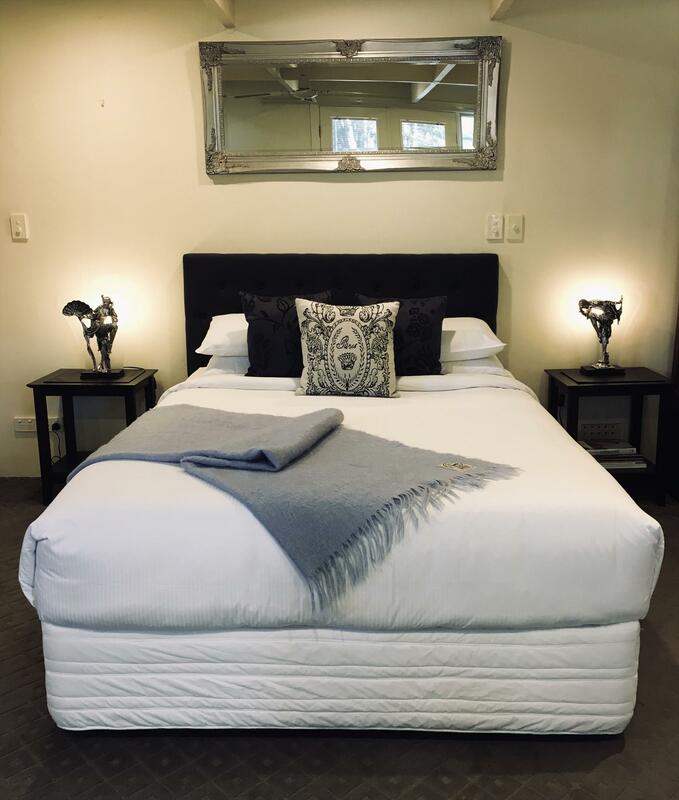 Join your host, Sophia at Barossa House where you will find professional, friendly personal service, charming country accommodation and the convenience of modern amenities. Barossa House is a stately residence, circa 1920, with quality furnishings and fittings. It is centrally located between Tanunda and Nuriootpa and a short drive to shops, wineries and restaurants. Barossa House has four guest rooms. 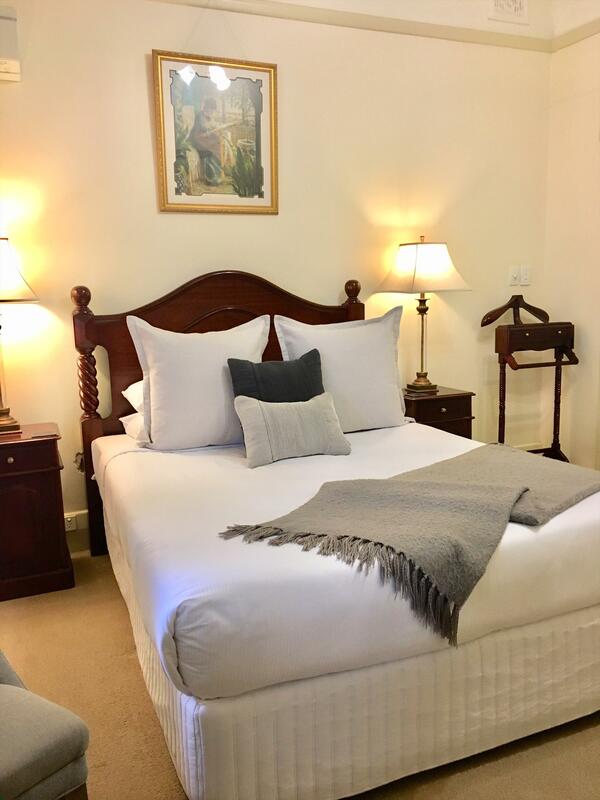 Our deluxe king bedroom - Jacaranda View Room, is situated upstairs and has an ensuite bathroom with double shower. This room also has its own lounge area with large plasma television /Apple television with Netflix and a private balcony. A family room with a queen, two single beds and ensuite bathroom has a separate entrance at the rear of the house . Two other guest rooms have queen beds and ensuite. All guest rooms have tea and coffee provided with coffee plunger, complimentary port and chocolates. Guest lounge and dining is elegantly styled with reading material and Apple television. Let us spoil you with a sumptuous breakfast cooked just for you and served in our dining room. In the afternoon, guests are welcome to join us for afternoon tea or a perfect espresso. Family - by Booking Extra guests, as either 2 single bedding available or 1 king Bed upon bedding arrangement request. 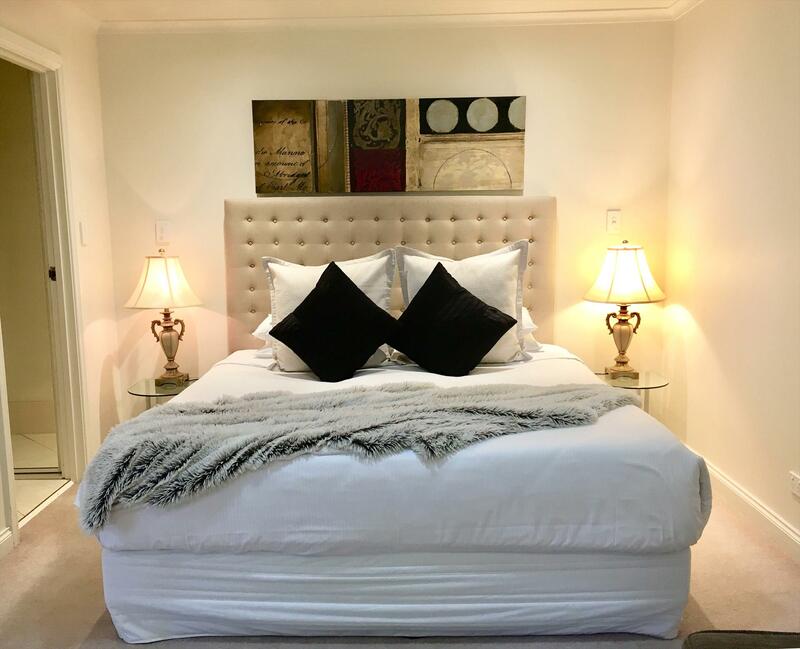 Traditional quality hosted bed and breakfast in our stately residence (circa 1920) featuring, this Suite has its own private entrance at the rear. Recently refurbished, the room is also ideal for a family room. It has is own private lounge and Apple TV now available with NETFLIX Streaming to entertain all ages. Centrally located in the heart of the Barossa within close proximity to many quality wineries, restaurants and cafes. It is a short drive to the towns of Tanunda, Nuriootpa and Angaston to name a few. So come on, join your host, Sophia at Barossa House. Enjoy a scrumptious breakfast in our elegant dining room and an afternoon coffee or tea in our beautiful garden whilst enjoying the pleasure of the Barossa View . 1 Queen bedroom with own smaller ensuite and amenities, Apple TV with Netflix Streaming. 1 Queen Bedding, with own smaller ensuite and amenities, AppleTV with Netflix Streaing. 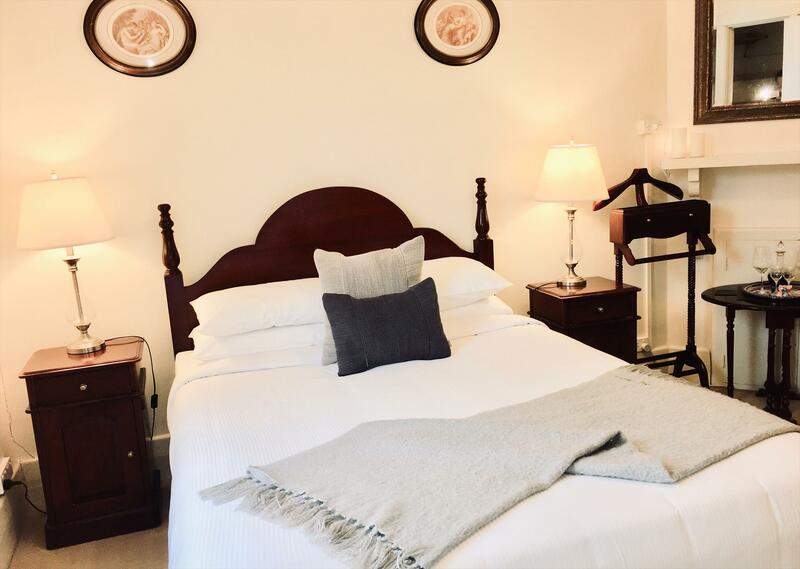 Traditional quality hosted bed and breakfast in our stately residence (circa 1920) featuring 4 guest bedrooms all with quality furnishings and ensuites. 2 rooms have queen-sized beds, 1 suitable for families with queen bed and 2 singles. So come on, join your hosts, Sophia at Barossa House. Enjoy a scrumptious breakfast served in our elegant dining room. Come and relax in the comfy guest lounge utilising the reading material or sit on the veranda and enjoy the sunset. Traditional quality hosted bed and breakfast in our stately residence (circa 1920) featuring 4 guest bedrooms all with quality furnishings and ensuites. Enjoy a continental style breakfast plus hot cooked meal of the day, served in our elegant dining room. Come and relax in the comfy guest lounge utilising the reading material. So come on, join your hosts, Sophia at Barossa House. Enjoy a scrumptious breakfast served in our elegant dining room. The king suite offers open plan bedroom/ living room with king size bed and 2 sofas. Ensuite bathroom featuring twin showers. The suite also features balcony with outdoor table and chairs. R/C air conditioning, Plasma TV with AppleTV and Netflix. Tea and coffee making facilities provided. Breakfast is included in dining room downstairs. So come on, join your hosts, Sophia at Barossa House. Enjoy a scrumptious breakfast served in our elegant dining room. 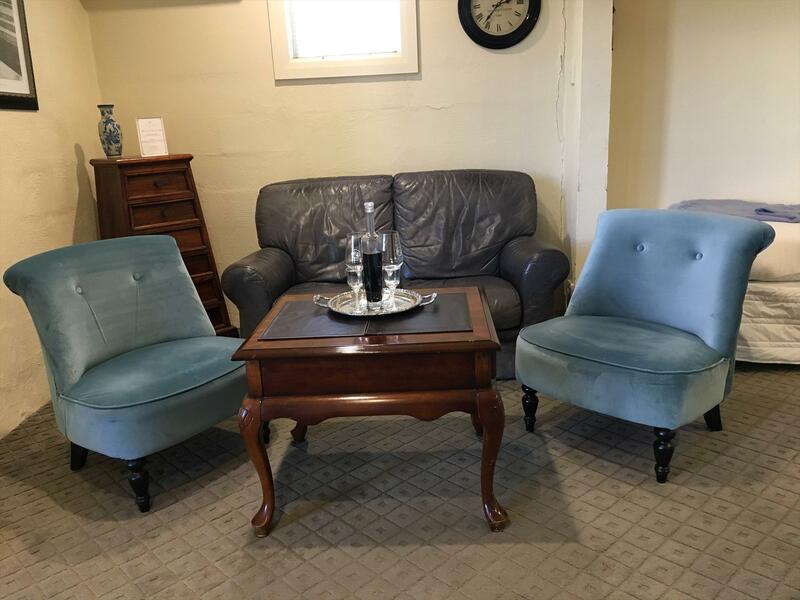 Come and relax in the comfy guest lounge utilising the reading material or enjoy the sunset on the veranda overlong the vines. All service changes/cancellations will be subject to a minimum $50 AUD cancellation / administration fee. When a booking has been made 30 days or less prior to arrival date and cancelled the full deposit / money paid will be forfeited. ON ARRIVAL YOU WILL BE REQUIRED TO PRODUCE A CREDIT CARD TO BE RECORDED FOR SECURITY PURPOSES. DAMAGES / SMOKING / CLEANING POLICY All services booked through Barossa House are subject to an accidental / willful damage policy a no smoking policy and an excess cleaning policy. Where the individual services confront interruption to business or unreasonable delay and expense in business operations the responsible guest will be charged accordingly. Travel insurance is recommended for all bookings to provide adequate protection against cancellation of travel.